You’d be shocked at the number of people who love house music, yet, don’t know the origin of the name. For a long time, the term has been pervasive, and even die-hard fans would stare into space momentarily before giving the most absurd explanation. House music originated from disco music whose popularity had been dwindling due to commercial manipulations, sexual and racial bias. Upon the collapse of disco, the underground scene developed a new and rawer style aimed at making listeners dance. It all began back in 1977 Southside Chicago when a new type of club dubbed ‘The Warehouse’ lent the name to house music. Frankie Knuckles opened The Warehouse and mixed the Eurobeat pop and old-school classics. House music is a direct descendant of disco the difference being house had an element of being deeper, fresher and comes with a danceable beat that appealed to people. The African American community in cooperation with other minority groups such as Latinos and gays in the U.S. saw the need to unify people through dance and viewed house music as a unifying factor. Underground clubs were seen as safe havens for these people, and they found a refuge to have a good time away from public scrutiny. Clubs that hosted house music parties in New York include ‘The Loft’ and ‘Paradise Garage.’ The U.S. wasn’t the only country where its citizens had begun embracing House Music, Europe and in particular, the United Kingdom took a shine to English electronic pop such as Depeche Mode and Soft Cell. Also, the more disco-oriented sounds of Giorgio Moroder, Klein & MBO alongside other Italian productions became trendy in Chicago and New York. Initial producers and innovative DJs, for instance, Frankie Knuckles, Larry Levan, DJ Ron Hardy and the Hot Mix 5 partook in a prominent role overseeing the evolution of Disco into House music. These individuals molded the modern dance scene and accomplished this by exploring mixing and beat matching records, applying editing skills to counter the setbacks resulting from restrictions in the DJ equipment. 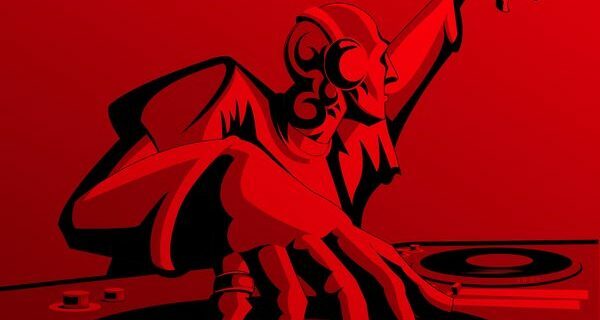 Some DJs started blending the duties of a DJ, composer, and producer through the creation of new versions of their favorite tunes. House music in England first became prevalent in the summer of 1986 after some records from Chicago began dominating the playlists of some of Europe’s most celebrated DJs. Despite the lack of backing from the national radio networks, the British were carried away with this genre of music. Against all the odds, three House records Farley’s “Jackmaster”, Funk “Love Can’t Turn Around” and Raze’s “Jack the Groove” featured in the top ten. Acid House, a British creation, popularized house music and introduced a tweaked version of House to the U.S. audience. Acid house was regarded differently, and perhaps that explains why it drew mainstream attention. In this manner, House music became admissible dance music among the white folks.